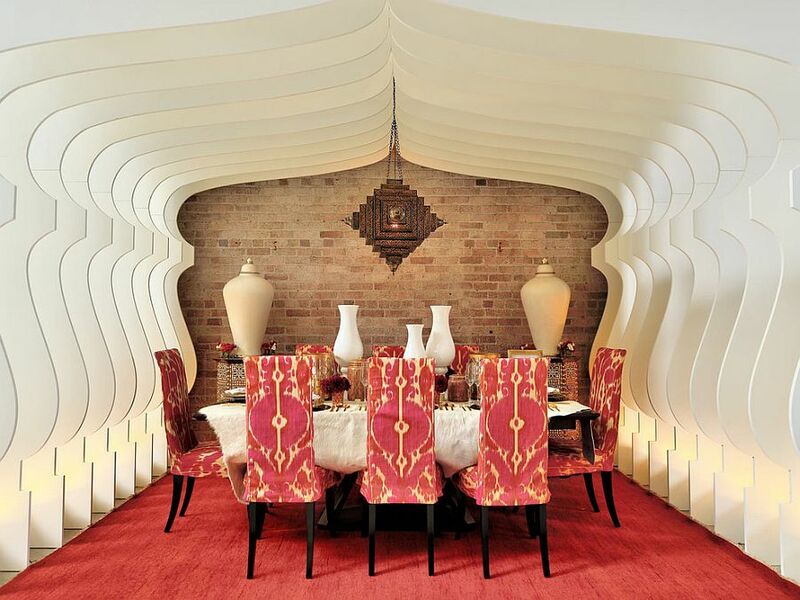 As holiday season festivities start to take center-stage, the forgotten dining room is once again under the spotlight in homes across the world. 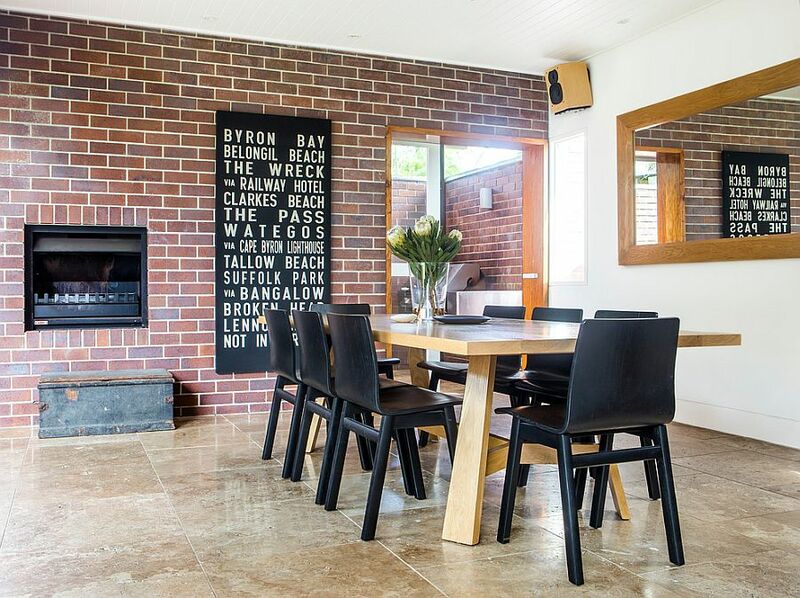 The arrival of eat-in kitchens, open plan living areas and of course the habit of spending half our lives in front of the television might have taken the sheen off of the formal dining room. 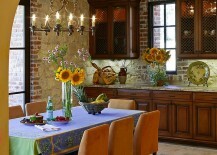 But in the season of joy and celebration, it quickly ends up becoming the go-to spot for friends and family. 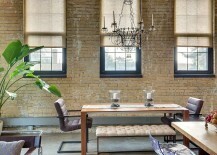 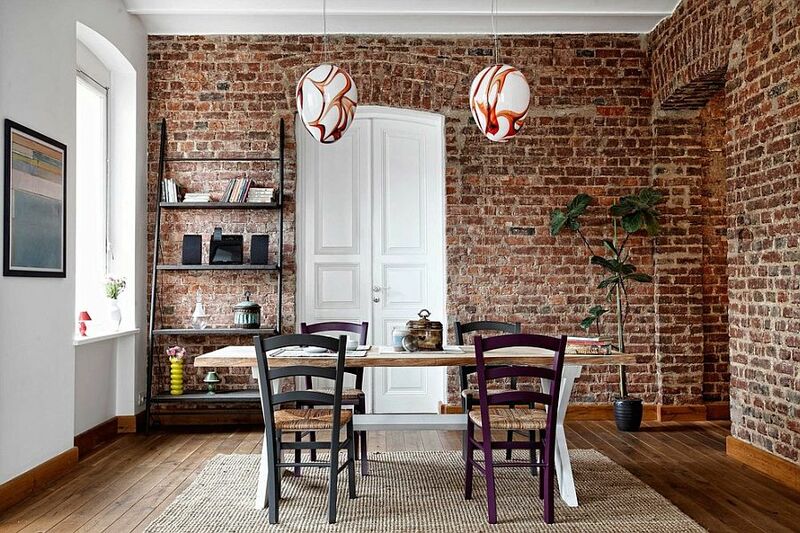 And today we take a look at 50 such fabulous dining rooms that inspire your design creativity as they celebrate the beauty of brick walls. 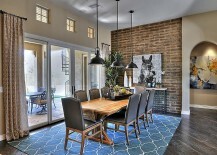 The brick wall dining room combines a sense of history and inviting warmth that is simply unmatchable, and even the most modern dining spaces can incorporate this magic without going overboard. 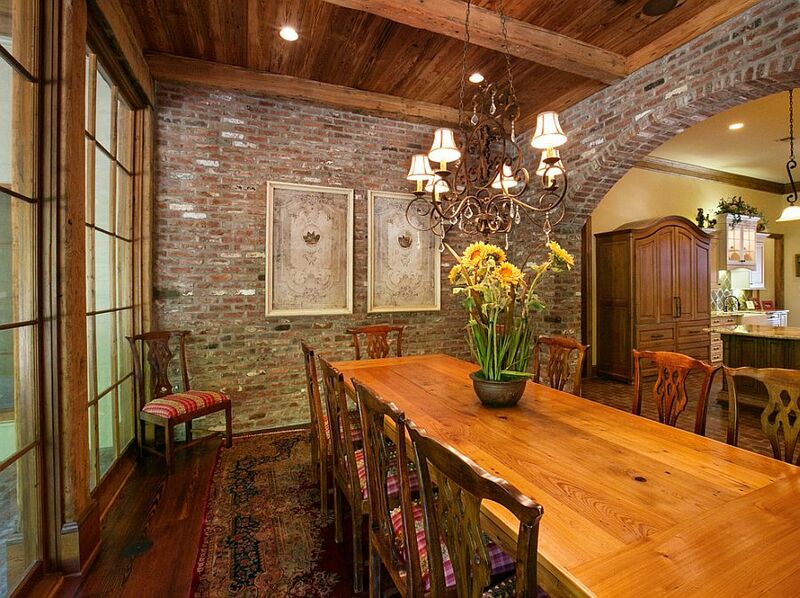 While a quick renovation with brick veneer works for some, others might choose to take away layers of plaster that cover the beautiful brick walls already present in their home. 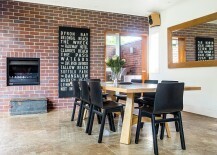 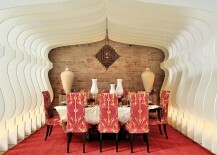 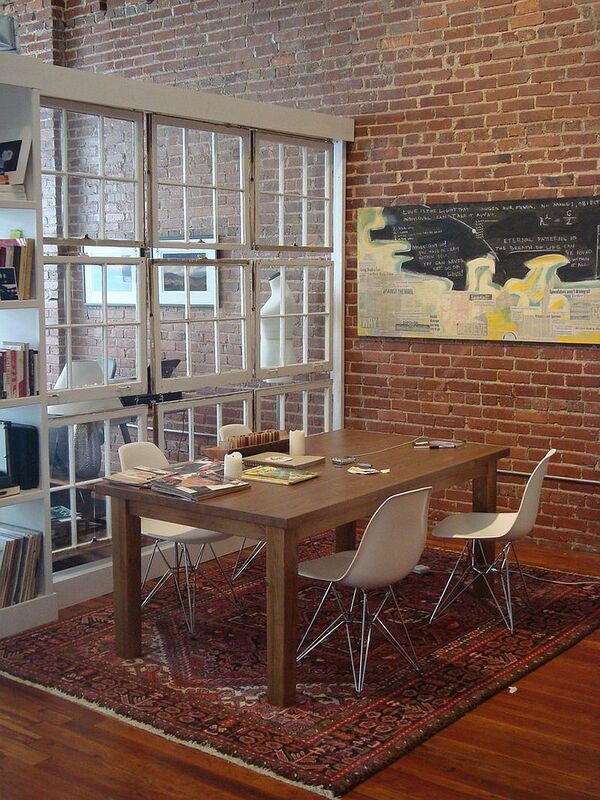 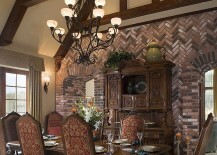 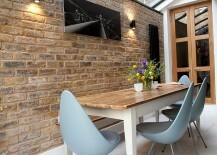 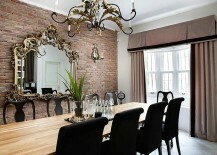 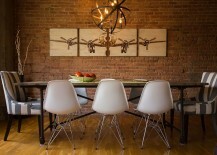 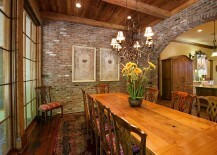 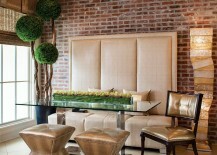 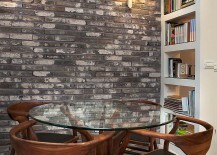 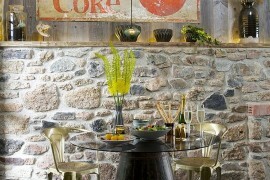 No matter what style you have going in your dining room, there is always a scope to add a brick wall feature. 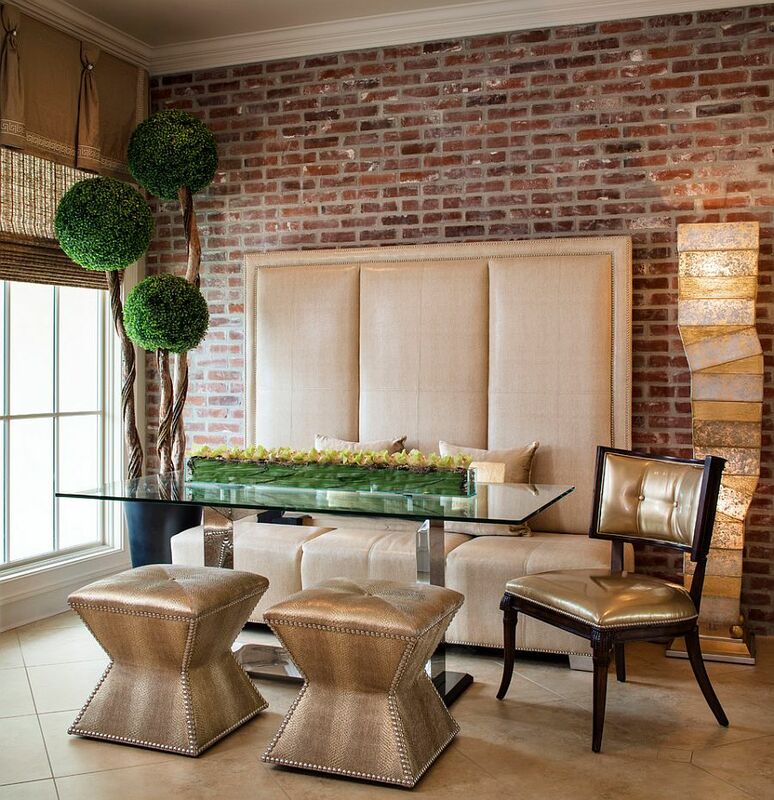 We are always on the lookout for dining rooms that save up on space, fit into the tiniest of corners, and sometimes serve you in more ways than one. 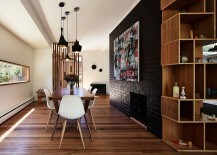 These relatively small dining areas can be crafted out of corners in the living room, kitchen or even under the staircase with effortless ease. 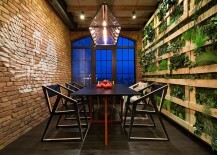 And if you have a striking brick wall in the backdrop, then it only adds to the flair and distinct identity of this space. 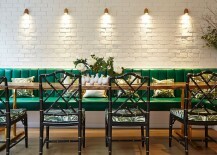 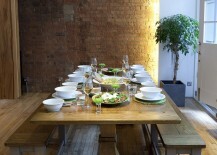 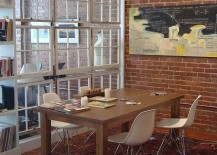 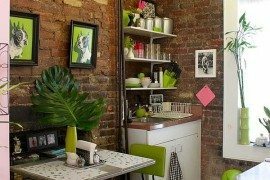 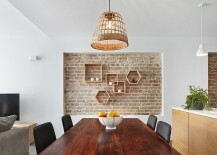 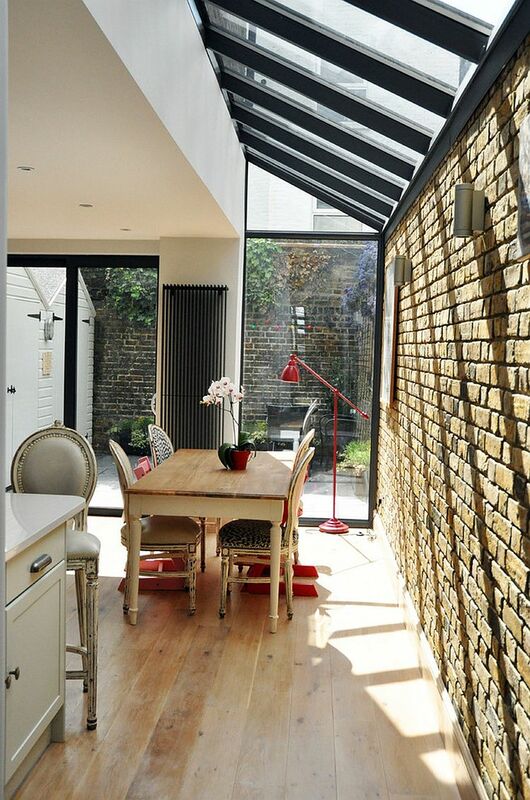 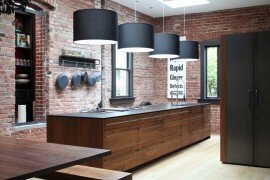 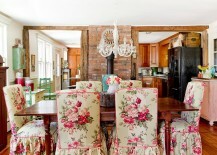 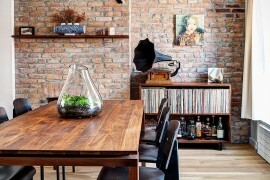 On certain occasions the brick wall in the background can act as a visually connecting element that links the dining area with the kitchen or living room next to it. 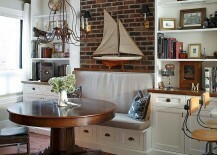 At other times, it can delineate and highlight the small nook elegantly. 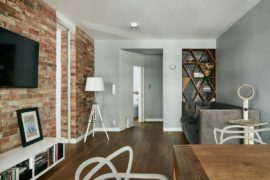 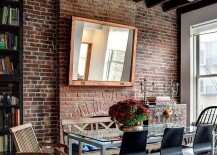 The inevitable connection between brick walls and industrial style means that most homeowners who have just uncovered a brick wall in their home tend to gravitate towards it. 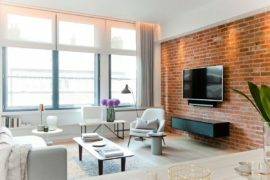 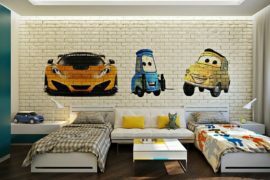 On the other end of the spectrum are those who instantly cover up brick walls because they feel that the contemporary style of their home is hindered by their rough presence. 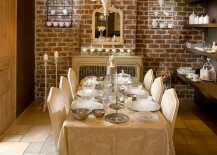 But there is a charming middle ground in all of this that will leave your guests spellbound when executed to perfection. 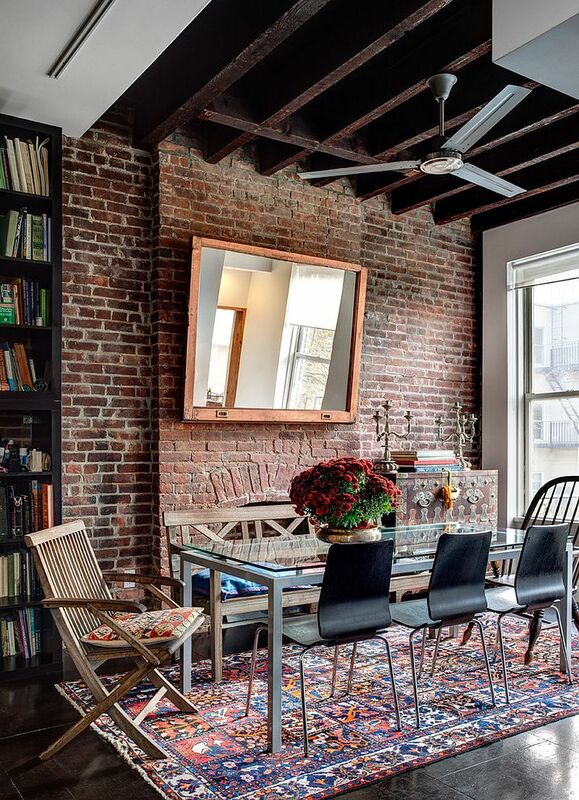 The exposed brick wall can be just used as an accent addition, a small architectural feature or a surface that brings textural contrast to the contemporary setting. 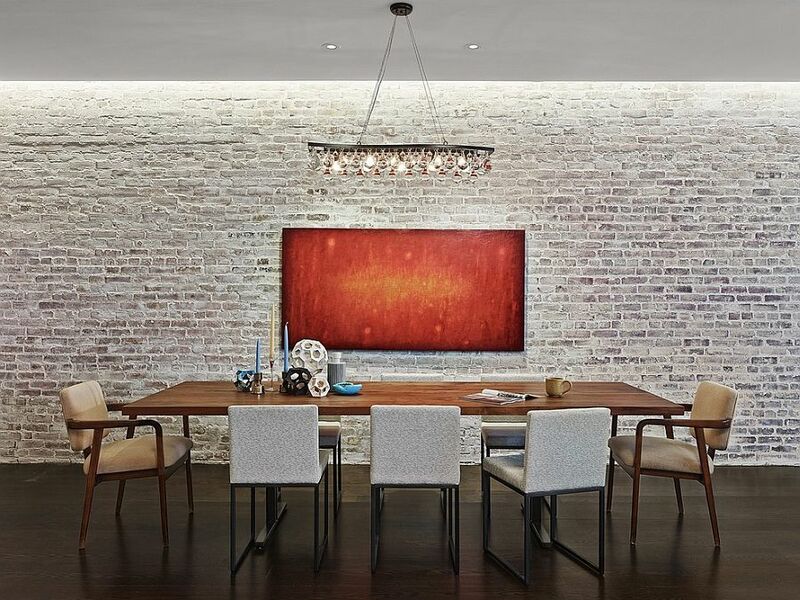 Painting the exposed brick wall in a color of your choice preserves its textural beauty while allowing it to blend in with the color scheme of your dining room. 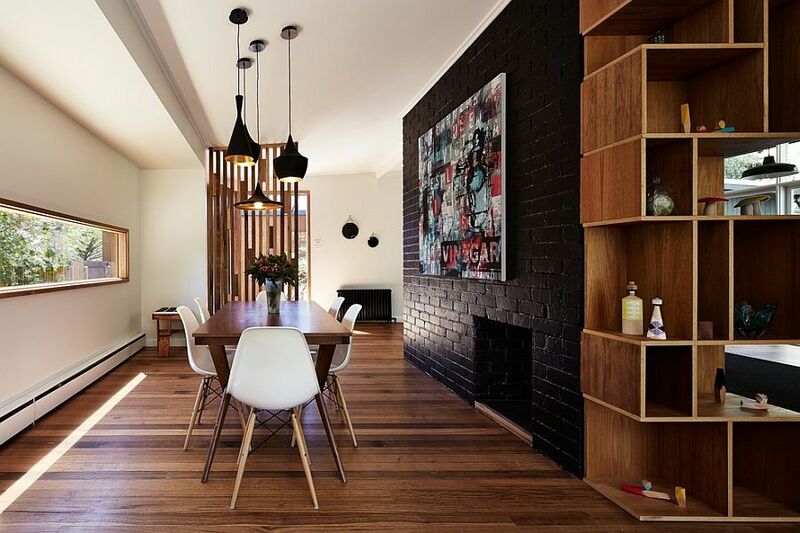 Gray is a safe choice thanks to its current popularity as a hot neutral, but those looking for a ‘dramatic bang’ might prefer the magic of black and the way it anchors modern spaces. 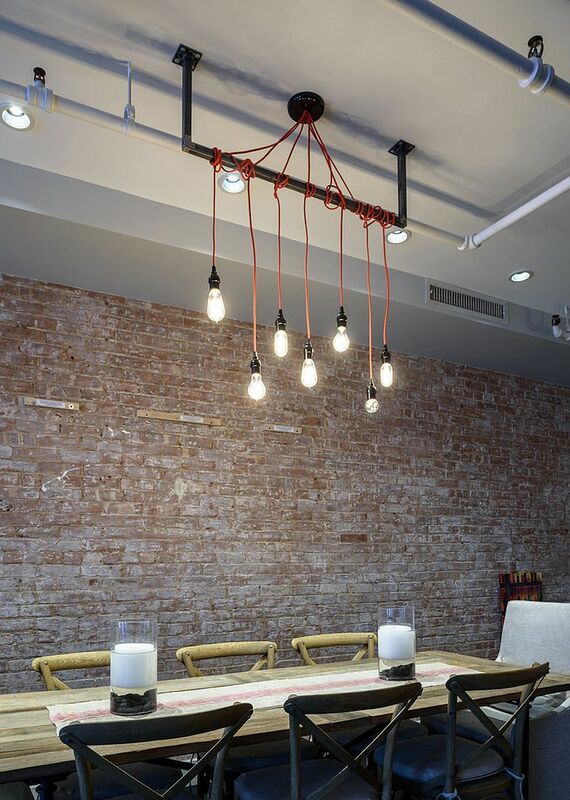 The world of lighting fixtures is so diverse, captivating and splendid that we always love this part of decorating a room. 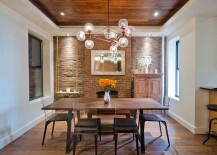 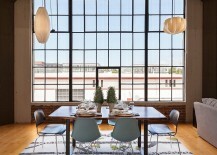 In the dining room, lighting plays a bigger role than most people believe. 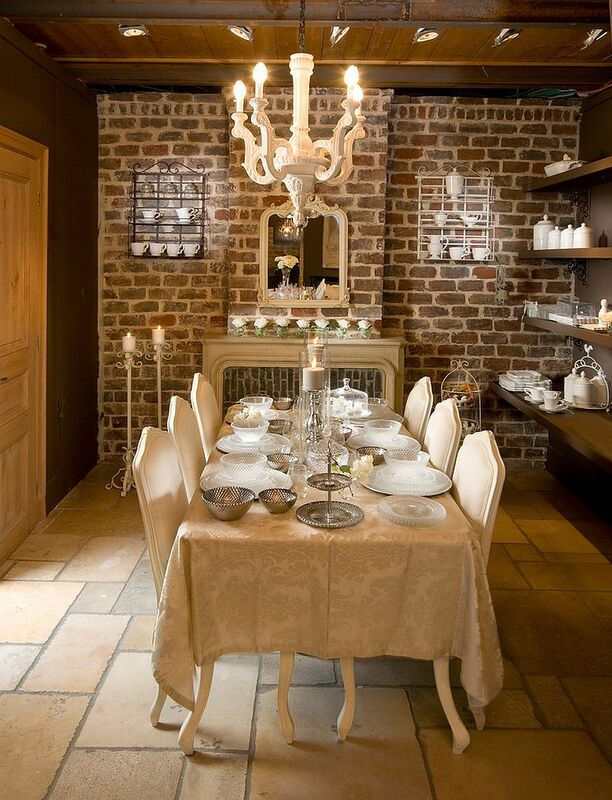 Just take away that sparkling chandelier from a classy dining space you come across and you will instantly notice how it seems all too ordinary! 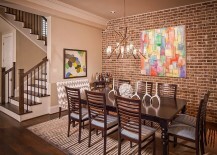 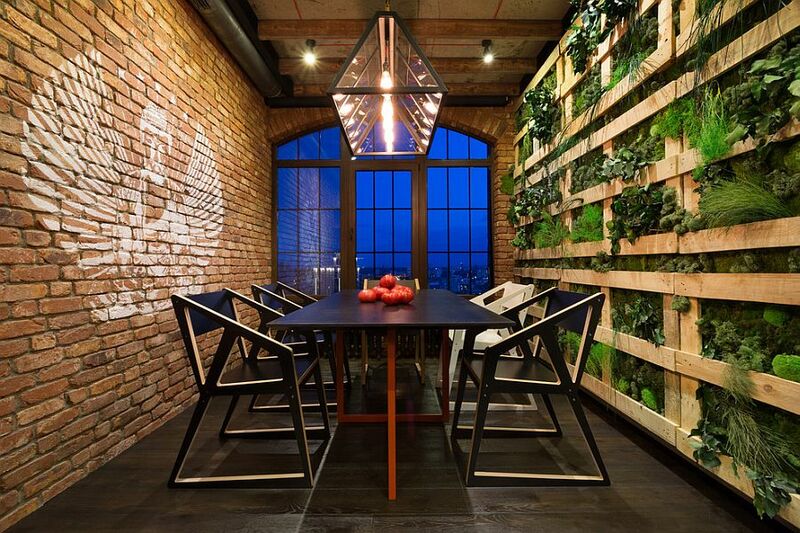 Lighting in the brick wall dining room should not only serve you functionally, but it should also accentuate the beauty of the brick wall and the artwork or decorative pieces it holds. 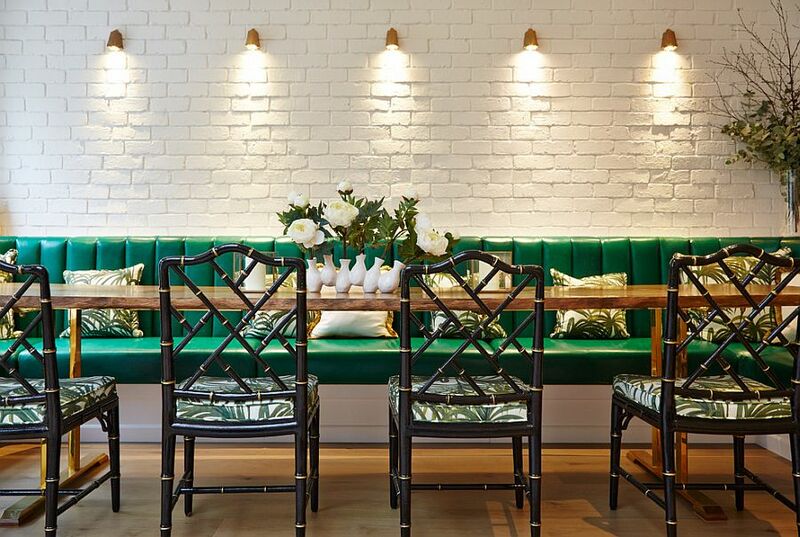 Do not be constrained by convention, and bring in lovely sconces, LED strip lighting and of course snazzy pendants to give your traditional dining room a more cheerful and fun twist. 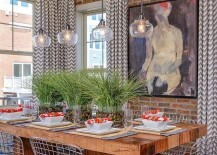 Sure, a remarkable cascading chandelier always seems to outdo all else, but use a more layered approach to lighting the dining room so that the rest of the space does not seem drab and boring. 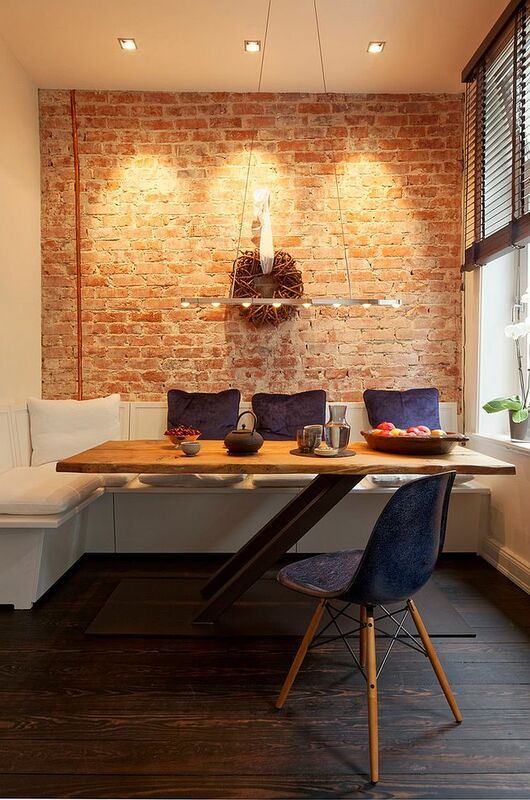 Giving the dining room with an exposed brick wall and industrial-inspired look is not too hard and pretty straightforward. 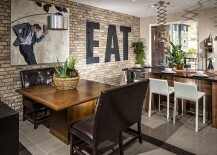 In fact, you have to try really hard to get this one wrong! 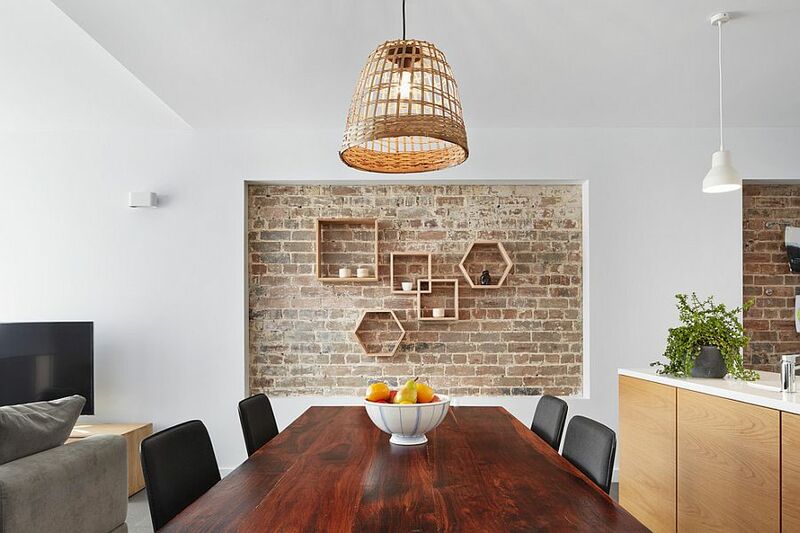 A dining table crafted from salvaged wood, a hint of metal in the form of pendant lights, comfy chairs and a distressed décor piece or two can get the job done with ease. 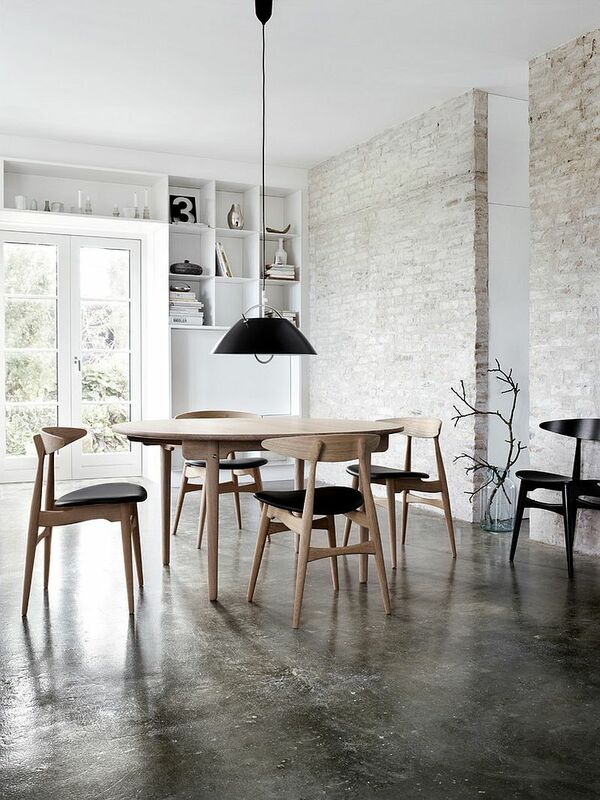 But think of mixing other influences and styles to move away from a strictly industrial setting and give your dining room a more personalized and bespoke appeal. 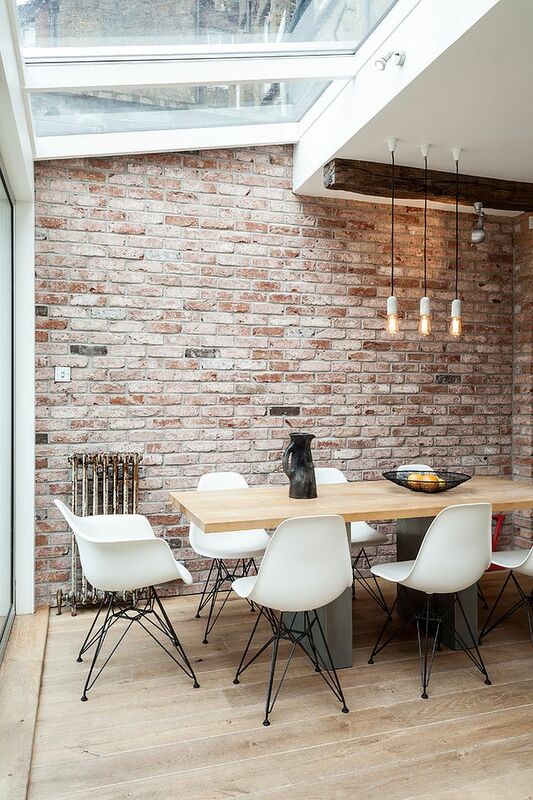 Industrial style and minimalism work well together, and a simple coating of white paint for the brick walls coupled with minimal décor and clean, straight lines can achieve this wonderfully balanced look. 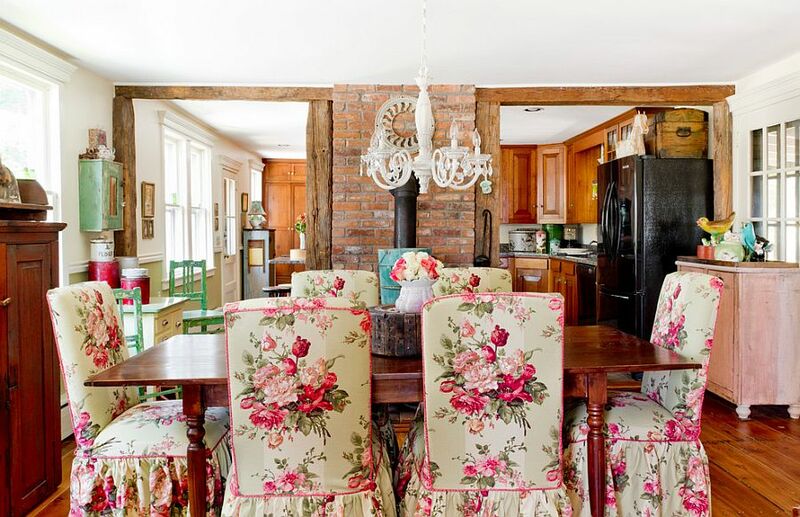 Vintage and eclectic styles combine with industrial backdrops to fashion more fun and colorful spaces, while farmhouse and country styles take you back in time and bring an air of nostalgia to the dining room. 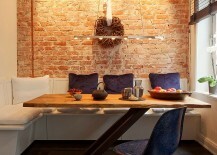 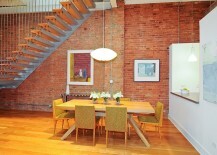 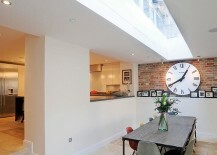 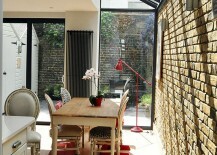 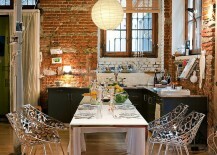 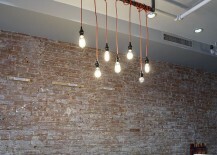 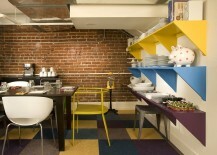 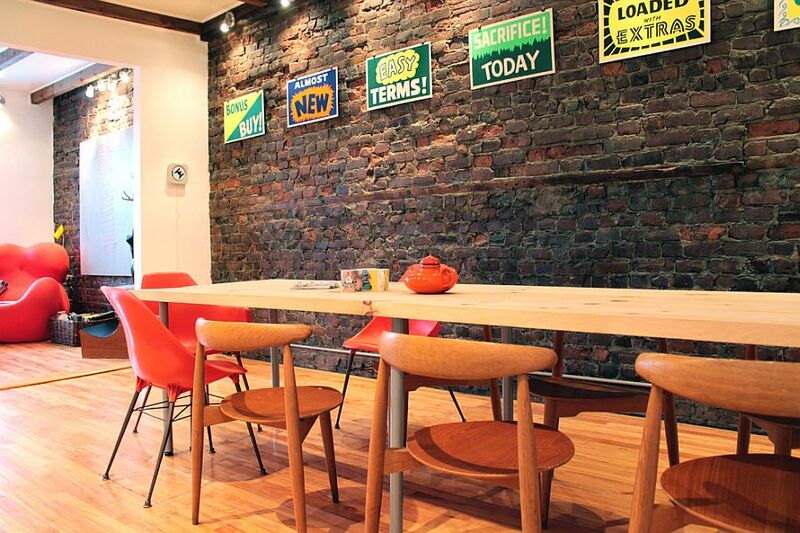 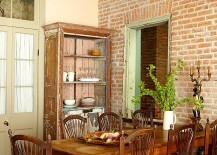 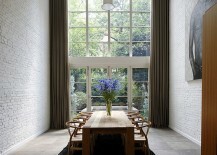 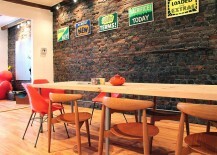 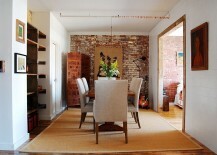 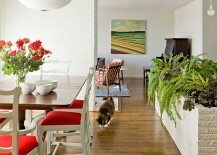 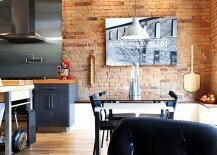 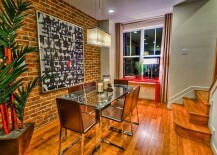 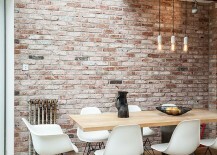 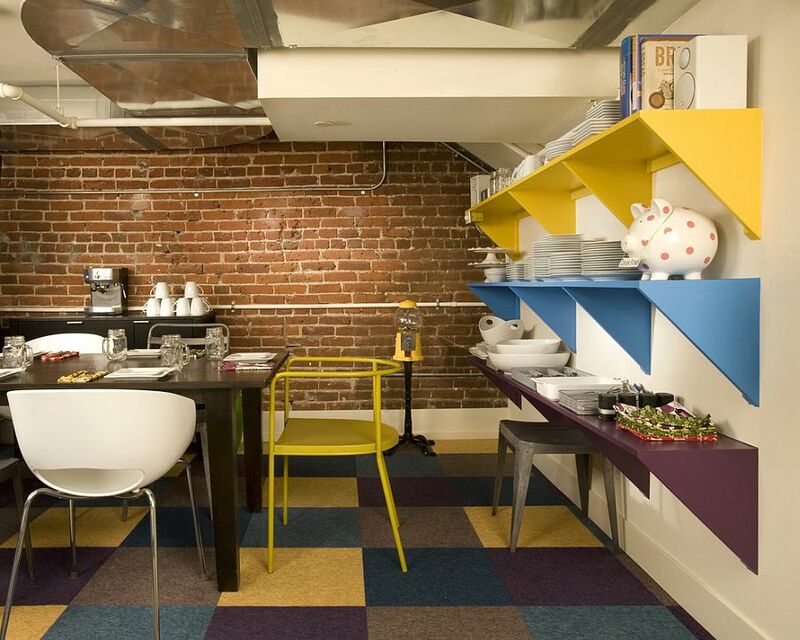 The brick wall in the dining room is a lot easier to maintain than in the kitchen or even the bathroom. 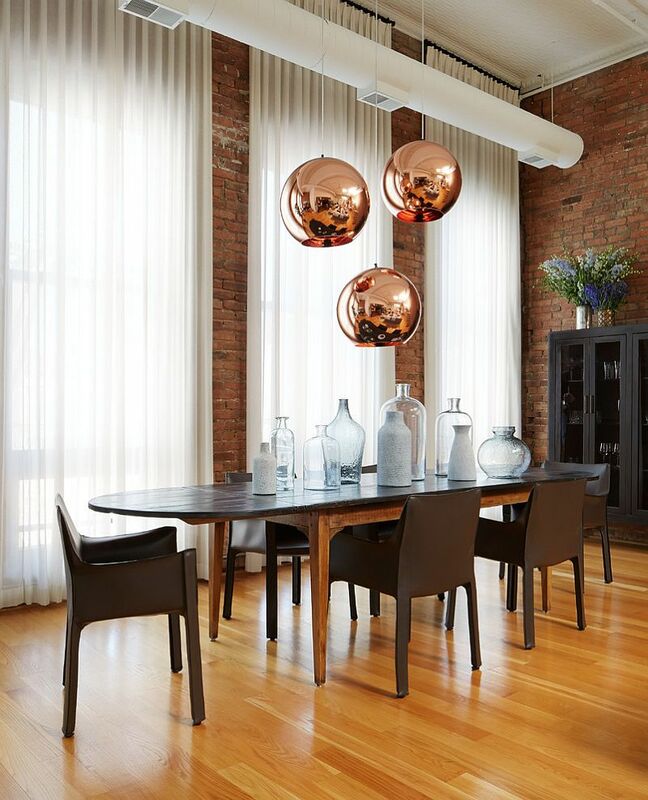 The periodic use of a proper sealant generally keeps its texture, beauty and timeless aura intact, and you can alter the style of the dining room by simply swapping out the décor and accessories that surround it. 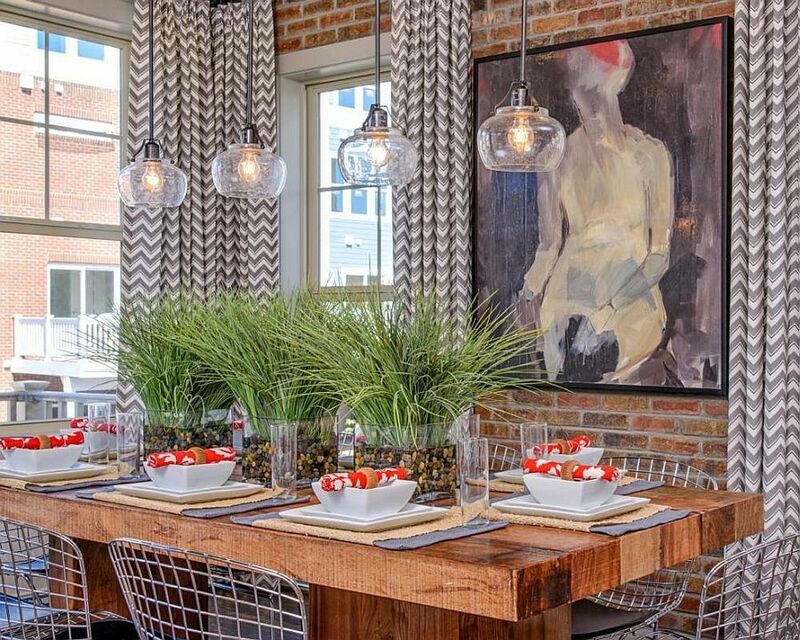 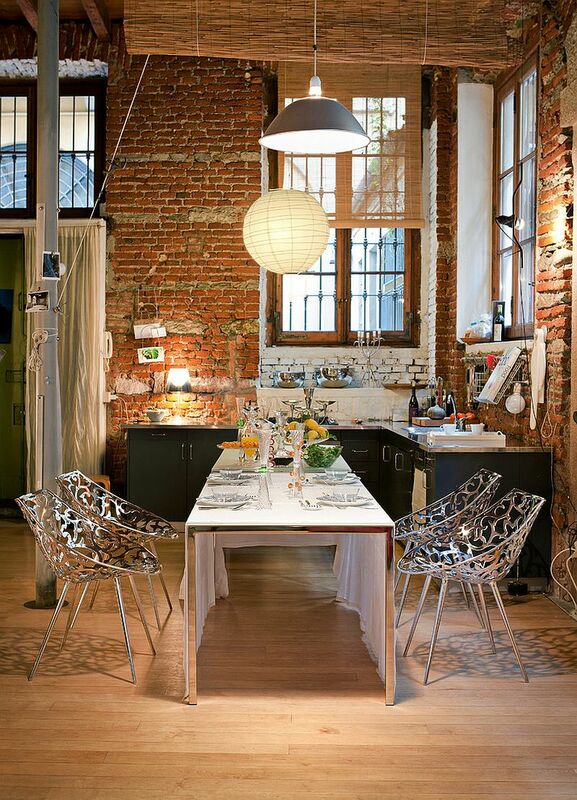 The dining rooms in this section showcase how the exposed brick wall fits in with themes such as Mediterranean, farmhouse, transitional, modern, coastal and of course, the ever present industrial!